One the most beautiful places on earth. First things first. You’ll need a reservation. Here’s what to do. Remember this date: FEBRUARY 1ST. This is when you can begin making reservations. Remember this website: http://theofficialhavasupaitribe.com. This is where you can sign up for reservations. Spots fill up FAST! Make sure you sign up immediately after reservations open. 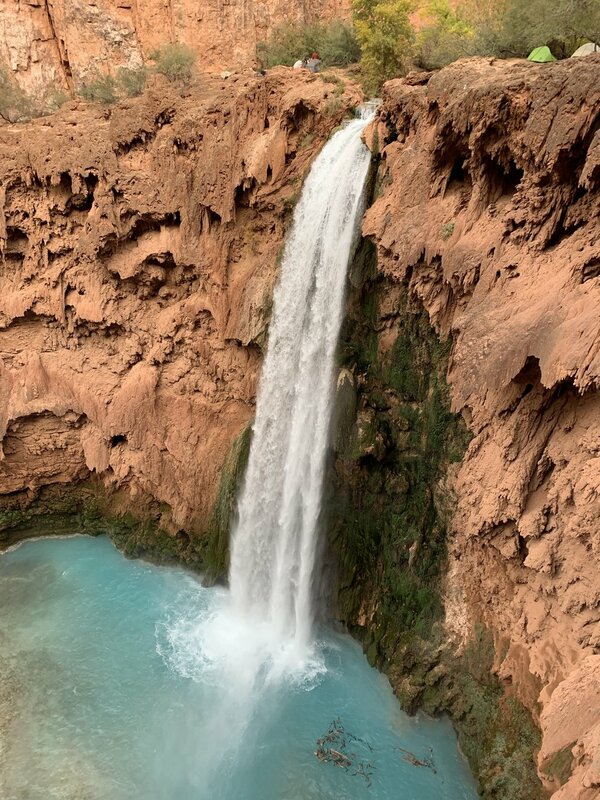 While this blog will provide a brief overview for your trip, the website above will provide more in-depth details about how much permits cost, how many days you can stay, and further rules and regulations for staying in Havasupai. HOW DO I GET HERE (PART 2)? You’ve got your permit! Great! Here’s how to get here. By car: Take the 1-40 to Seligman, AZ (I strongly recommend eating at https://www.westsidelilos.com/ before and/or after your experience in Havasupai). From Seligman take Indian Route 18 to the Hualapi Hilltop. Here you can park your vehicle and prepare for the next leg of your trip. Hiking in: Prepare yourself for an 8 mile downhill hike to Havasupai village where you will check in and receive confirmation of your online permit. It’s another 2 miles from here to the campground but if you’re staying at the Lodge then you’re already there. You can always pay a small fee for your backpack to be carried up and/or down the trail by mule. Most people stay at the campground, 10 miles from the trailhead. Several eco-friendly bathrooms and a fresh water spring are available at the campground. Lodging is also available at the Havasupai Lodge. Reservations begin in the summer months. Havaupai is open from February to the end of November. Summer months (May-August) are the best time to get in the water BUT they are also the most dangerous for hiking with temperatures rising past 100 degrees fahrenheit. These months also include monsoon season, and heavy rains can bring very dangerous flash floods to the area. Please be mindful of weather patterns and plan accordingly. Many people suffer heat related injuries (even up to death) every year while in Havasupai and in the Grand Canyon wilderness. For those of you here for details regarding the hike to the confluence: Bring plenty of water for the day (3 liters has typically been enough for me). Pack a lunch, bring snacks, and plan on having dinner back at the campground. I strongly suggest beginning your day from the campground no later than 8AM as you will be in for 14-18 miles (or 7-10 hours) round trip of hiking. The mileage varies depending on where you stay in Havasu Campground and also because you will be crossing the Havasu Creek 9-10 times. Route finding can be tricky and rock cairns will serve as your best friend. You will get wet on this hike, although the water crossings have never been higher than my thighs. I suggest wearing a pair of shoes that you don’t mind getting wet and that you don’t have to take off each time you cross the water. This will help cut down on time and energy. People that do this hike will usually include a small visit to Beaver Falls which is along the way. By this time you will have crossed the Havasu Creek 3 times. 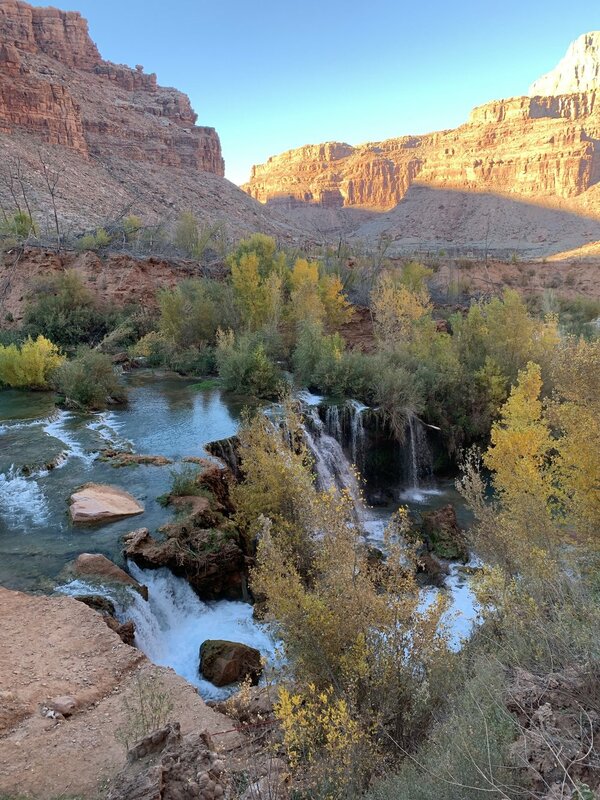 The Beaver Falls area is also the area you will be leaving the Havasupai Reservation and entering Grand Canyon National Park. Along the trail, just before Beaver Falls, there is an option to turn left and go to the falls or to continue straight over a large hill and into the Grand Canyon. As you choose to continue straight you will reach a sign that designates you are leaving Havasupai Reservation. Make your way down the large hill and you will meet up again with Havasu Creek. From here you’ll have another 4-6 miles to the confluence, and you’ll cross the creek another 6 or so times. The trail is beautiful but can also be hard to find at times. Be on the lookout for cairns to help guide the way. You may even encounter Bighorn Sheep if you’re lucky. The confluence is a popular place for river rafters to dock their rafts and do day hikes up Havasu Creek. When you arrive you will see the beautiful blue waters of Havasu Creek meet the roaring grey waters of the Colorado River. It’s quite a sight to see. Congratulations! You are now a part of a small group of people that have made it this deep into the canyon. Rainbow Bridge is the world’s highest natural bridge spanning 234 ft. and with a height of 290ft. The bridge is made of sandstone and is a primary example of stream erosion in the Colorado Plateau area. Rainbow Bridge and the surrounding area is considered sacred to the local Native American tribes and is protected by the National Park Service. 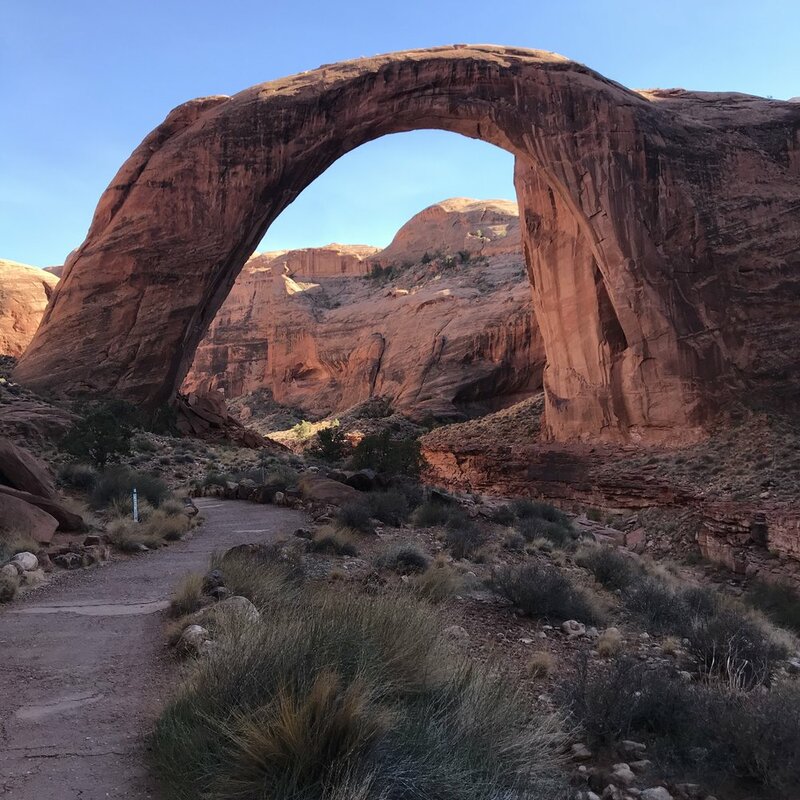 Rainbow Bridge is located in the remote parts of the greater Lake Powell area, just northwest of Navajo Mountain in Southern Utah. Boaters can access this remote location via Lake Powell. A floating dock, the falls and rises with the water levels, is available for boats. From the dock, Rainbow Bridge is a short and easy quarter-mile hike away. Bathrooms are available at the dock. No camping is allowed. A very long and strenuous 32 mile round-trip hike starts from the northeast side of Navajo Mountain. Camping is available in select areas but not in the designated Rainbow Bridge area. The hike itself is extremely hilly but provides spectacular views of the Lake Powell backcountry. Give yourself at least 2-4 days to hike in and out. The trailhead is accessed from Highway 160. Take the 98 North to Indian Route 16. From there go north to Road 434, and then north on Road 487. Road 487 is a 4 mile dirt road. High clearance is strongly recommended. When using Google Maps, “Navajo Mountain High School” will be the nearest location to the trailhead. Please take note that for those attempting the hike to Rainbow Bridge that this is a hike suited for experienced hikers. There are a few spots along the trail for water, but it is scarce. Bring 1-2 gallons of water to start your hike and bring a water filtration device (you will need it). The trail itself is marked by cairns and at times they can be difficult to find…one small deviation from the trail can be deadly. If you do get lost make sure to follow your steps back to the last cairn and begin again. It is strongly recommended to do this hike in a group with experienced hikers. If you do decide to go solo, bring a map or GPS system, and notify someone that you are hiking. So you're tired of seeing all those Iceland pictures on Instagram and have finally decided to make the trip to see for yourself! Now you're just looking for how to plan. Perfect! Here is a quick and simple one week itinerary of how to get the most out of your journey. The ring road is approximately 800 miles (1300 kilometers) that traces the perimeter of Iceland. If you have 7-10 days, it's arguably the best way to experience this beautiful country. The road is two lanes, mainly paved, unless you are taking some shortcuts (which may be dirt or gravel roads), and is in fairly good shape (minus a few potholes). Yup. It's super easy. A one week rental from any of the major car rental agencies runs around $300 for the week, depending on how much insurance you're willing to get on it. Looking to camp in a van? There are plenty of options for that too! It is a bit more expensive... unless, of course, you're splitting the cost amongst friends. There are lots of ways to experience Iceland. The two most reasonable ways to travel the ring road, given the weather, are either car-camping or airbnb-ing. As for my trip, I found reasonably priced airbnb's (around $100/night) in each of the places listed below. You've just landed at Keflavik airport. If you get in early in the day, you can make a morning or afternoon at the Blue Lagoon. It's a little pricey (around $60-70), but it's a classic sight, especially if you're looking to take a dip in the local hot springs. If you arrive later in the afternoon or evening, you can head directly to the capital city of Reykjavik. There you will be able to find several places to eat or get groceries, and also many reasonably priced places to stay the night. 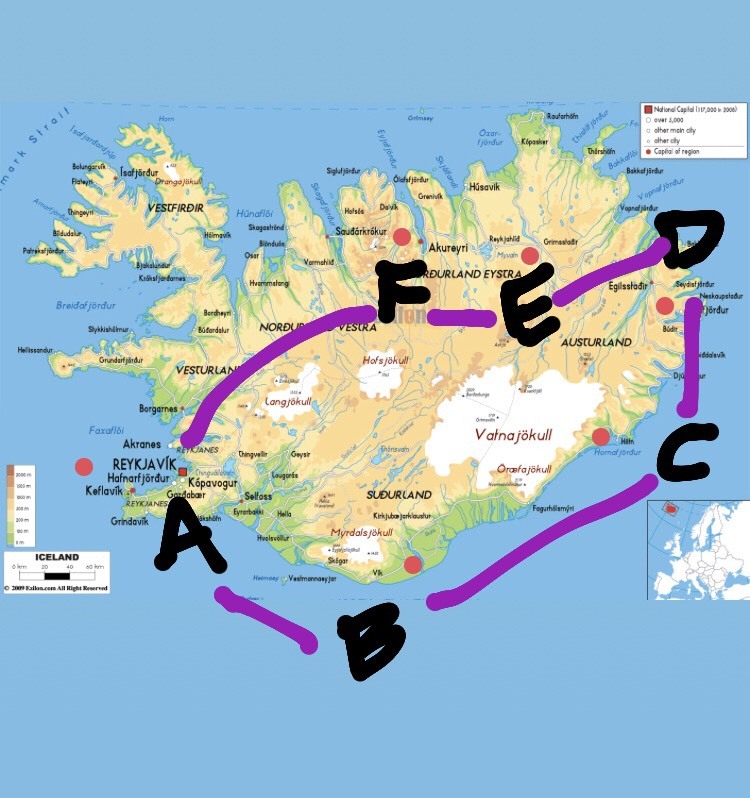 *If you are staying more than a week, I strongly recommend driving the Golden Circle before continuing the ring road. Give yourself at least one to two days to do this. Along the road from Reykjavik to Vik, you'll find a slew of gems - waterfalls, black sand beaches, even an airplane wreckage site... just to name a few. When you arrive at Vik, there you'll find a quaint and cozy town with plenty to do. Vik is great for bird watching (namely for puffins - those cute orange and white looking birds) and walking the black sand beaches of Dyrholaey. The road from Vik to Hofn is incredibly scenic with tons to see (when is there not?!). This portion of the ring road is where you'll find Skaftafell National Park, the glacial lagoon of Jokulsarlon, and several glaciers. At these locations you have opportunity to explore ice caves, go ice climbing, or even walk along glaciers. Hofn is a very pretty port town that offers tasty local seafood. If you arrive before sunset I strongly recommend a visit to Stokness to explore. It's only a few miles down the road and well worth a trip. Traveling the ring road from Hofn to eastern Iceland presents a few optional shortcuts. If you're staying true to the ring road then you will pass along many fjords. Eventually, you will come upon the largest city in east Iceland, Egilsstadir. 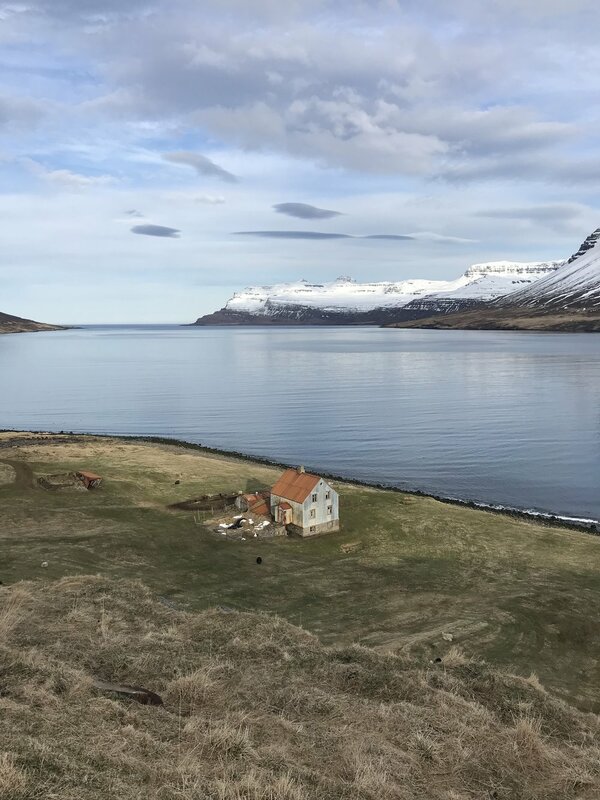 I suggest going a bit further east to the coastal town of Seydisfjordur where you will have spectacular view of the coastline and some artsy shops to look around at. If you're looking to spend some time in northeast Iceland, I recommend Bakkagerdi for puffin watching. Another popular spot is Dettifoss. Dettifoss is one of the most powerful waterfalls in all of Europe. Moving westward, you'll reach Myvatn. Myvatn lies in the northernmost part of Iceland. It is full of geothermal wonders, including the Myvatn hot baths, a more scenic and less expensive version of the Blue Lagoon. Don't forget to check out Grjótagjá caves as well. If you're looking for some hiking, I recommend Hverfjall crater. As you move west from Mvyatn you reach Akureyri, the capital of the north. This place is just lovely. Tucked between fjords, the city center is the largest outside of Reykjavik. Whale watching is available here, as are many places to eat and find lodging. I recommend venturing out into the smaller towns on the outskirts of Akureyri, located further north, up the fjords. Make sure to see Godafoss on your way into Akureyri. Godafoss is a powerful and impressive waterfall that is well worth teh detore. From Akureyri to Reykjavik there is the famous Kirkjufellsfoss - a must-see on your return trip home. Remember that these places are only a general overview in helping you form your own unique ring road experience. Quite honestly, there is too much to see and do in just a week. But if a week is all you have, well then, this may be a good start. Looking for more information regarding Iceland? Don't forget to check out my other blog post. As always, I'd love to hear from you about what's been helpful and what I missed. Monument Valley, that ever iconic symbol of the Wild West, has always represented for me the rugged and unexplored frontier, what’s possible for the curious, and the reward for the seeking, the real diamond in the rough. The real secret though? There’s so much more to do in this area. But let's start at the beginning. Okay, so you want to go to, but you need to know where to stay and what to do. No problem. Grab a room at The View! There is no place closer than this for your access to Monument Valley. Rooms here are reasonably priced, especially for the views, (you can see Monument Valley from your room!) and it includes a complimentary breakfast. The restaurant provides local cuisine and I recommend getting a Navajo Taco. A gift shop is attached to the restaurant if you're in the mood for grabbing a souvenir, a beautiful piece of Navajo jewelry or pottery. How much for a night? Plan on spending between $100-$200 a night. Rooms fill up fast so book your room a few weeks in advance. So you've paid a small entrance fee and made it to Monument Valley. What next? GO FOR A DRIVE and see the sights. Right next to The View Hotel is a 17 mile looped road for your viewing pleasure. A compact car will do, but be prepared to drive slowly on a dirt road with some potholes. Along this route you will see much more than the Mittens, a myriad of rock formations and valleys that give you a much better appreciation for the depth of the valley. How long does the loop take? Pack a lunch and plan on spending a few hours by stopping at the many sights along the way. Maps are available at the entrance fee station. BUT WHAT ELSE IS THERE TO SEE? I'm glad you asked. SO MUCH MORE! Here's a small list below to get you started. Looking for a more rugged experience? How about pitching a tent along Valley of the Gods road? Here, you'll beat the crowds and be even closer to the large monoliths rising up above you. Give it a go. You won't be dissapointed. Wanna see something wild? Take a quick trip over to Goosenecks State Park to see the meander of the San Juan River. It's a truly spectacular sight. To see a breathtaking sight of the Utah/Arizona land in which you'll be roaming about, take the steep, unpaved but graded switchbacks of Moki Dugway. When you get to the top, take a moment and pull over, and enjoy the sights below you. What are you waiting for? GO ADVENTURE! The Grand Canyon may just be one of the most iconic examples of grandeur in nature. For the more daring adventurers, perhaps one of the best ways to see just how big it is would be to try hiking the Canyon from Rim to Rim to Rim. Of course this hike could be modified in any way, shape, or form. A more popular version of this is simply hiking Rim to Rim (South to North) and placing a car at both ends for pick up. Yet another option is hiking a loop of the South Rim from Bright Angel to South Kaibab, with a park shuttle able to take hikers from the end of the trail to their car. Okay, so you've decided to do the BIG hike. Here's what to expect: 50 miles over rock, dirt, steep cliffs, and winding canyons. While some hikers attempt this hike in one day, I do strongly recommend to do this over two or three days. The route can vary on which Rim and which trail you decide to begin your hike. I will suggest here a route and agenda that worked well for me. Day One: Camp at Mather Campground on the South Rim. Tent and car camping is $18 a site. At Mather Campground you are just a few minutes drive to Bright Angel Trailhead. Day Two: Park car at Bright Angel trailhead and begin the epic journey. Take Bright Angel to North Kaibab. You will pass the Colorado River and then Phantom Ranch (and also many other campgrounds including Cottonwood). Camp at the North Rim. No backcountry permits are needed if camping is done on top of the Rims, but is needed if camping in the Canyon. Day Three: Hike North Kaibab to South Kaibab. Take the park shuttle from South Kaibab trailhead to the trailhead of Bright Angel to pick up your car. *Note: You can approximately count on 25 miles of hiking a day from Rim to Rim. It should take an average hiker of good shape and a decent pace from 10-14 hours of hiking to go Rim to Rim. Weather is going to be a determining factor in planning your hike. Spring and fall months are gonna be your best bet when temperatures are much cooler. DO NOT ATTEMPT this hike in summer months, or if you do, use extreme caution. There are water stations along the trail to fill up, however, there is NO WATER available along the South Kaibab trail (please plan accordingly). I carried 4 liters of water on me at all times and I was able to refill at each water station. I had no issues, but remember that everyone is different when it comes to water intake. Having a source of electrolytes is also very important. I suggest Gatorade or Propel packets to mix in water. Coconut water is also a great source of energy. Extra pairs of socks and appropriate clothing. The list continues...remember that you are hiking around 50 miles so the lighter your pack the better. * There is food and drink sold at the Lodges at both the South and North Rim. Food and drink is also sold at Phantom Ranch, a set of cottages at the bottom of the Canyon almost directly in between South and North Rim. I would check ahead to see if these locations are open before heading into the Canyon. As usual with these kind of hikes make sure that you take the time to prepare yourself. Tell someone else about your travel plans. Pack and prepare adequately, hydrate, and bring enough nutrition to power you through. If you have any questions I'd be happy to answer them. Happy hiking! Provides a stopover for up to seven days in Iceland on your way to a European city. (I did this from Tucson, AZ to Brussels with six day stopover in Iceland). Pros: Make it a longer vacation with a trip to Europe. Cons: You only get up to seven days in Iceland. Enough to scratch the surface but not enough to see everything. Flies from major US cities into Iceland. Cons: It's cheaper than Iceland Air. No stopover to Europe. If you're traveling on a budget DON'T EAT OUT! Restaurant eating can be pricey. Look to spend $15-25 dollars per person/per meal if you do. DO go grocery shopping and meal plan. This is gonna save $$$. I recommend BONUS. Iceland during the summer is busy so hostels/hotels could be pricey and/or unavailable. Airbnb is a nice option. I spent around $100/night for a cozy place just outside Reykjavik on the Golden Circle. Also, gas is expensive. Like $7/gallon expensive. So an economic vehicle will do you well. Do research before and plan out your sights. Instagram is a great tool to use to see where others have been. As usual, don't hesitate to ask for more suggestions! If you find this helpful or intriguing please share with your friends! Maybe you collect them as well, or have some ideas of how I could use these patches? This summer I had the opportunity to take part in a ten day adventure in Guatemala with Champions in Action. This faith-based, non-profit organization has a beautiful mission that aims to take at-risk youth out of the inner cities of Guatemala City for a week to participate in a soccer camp along the shores of Puerto Barrios. The kids that participate come from all types of backgrounds with many being exposed to gang activity, drugs, and physical and sexual abuse. But mentorship for these youth does not end after camp; youth continue to be empowered to be leaders in their community by the support of a mentor whose roles include soccer coach and spiritual leader. Also, a year long soccer league keeps youth involved by participating each week in games and practices. The daily camp schedule is comprised of soccer conditioning, soccer training sessions, beach time, afternoon games, and chapel in the evening. The camp also provides three meals a day (chicken, carne asada, rice, beans, eggs, pancakes, tortillas, etc.) and some of the best fruit drinks (melon, orange, mango, papaya, horchata, etc.) that I have ever had. The success and energy of the camp relies heavily on the help of dedicated staff and volunteers. Camp is fast paced, full of energy, and packed with fun. Meal times often turn into competitions for best team cheer, or best team spirit. A youth watches over camp during afternoon games. Ten groups of ten youth with their mentors and volunteers. Camp is held at El Faro, just a 15 minute boat ride from Puerto Barrios along the Guatemalan coastline and within the larger Caribbean Sea. The setting is tropical and in the summer it is not uncommon to get rain and sun all in the same day. El Faro is equipped with several living spaces throughout its property. These living spaces are able to hold hundreds of people, including separate quarters for youth, men, and women. The property also includes an immaculate soccer complex that includes a training field and full sized soccer field, along with a weight room and track. A fully staffed kitchen provides meals throughout the day, and snacks are provided in the local tienda, or snack shop. A look out into the ocean from camp. Beach time is offered daily for volunteers and youth. A view from the dock of El Faro. Hammocks are also provided for rest and relaxation. A typical morning sunrise over the ocean. At the end of camp, after the youth return to Guatemala City, volunteers are able to take a day to explore Antigua. This day is generously set up by Champions in Action. The first part of the day is spent visiting with youth in Ciudad Quetzal, one of the many "red zones," of Guatemala. There, volunteers are warmly greeted by mentors and youth who set up food and provided activities. This interaction between volunteers and local community help bridge the gap between the safe and fun camp environment to the sometimes harsh realities of city life where the youth grow up in. After big hugs and more cheering, volunteers take off for Antigua. Antigua is one of Guatemala's best cities. There, volunteers are able to explore part of Guatemala's rich history by visiting Spanish colonial ruins, enjoying the colorful architecture and plazas, all while walking the cobblestone streets. Champions in Action provided a map that located several points of interest for volunteers including one of my favorite ice cream spots to date called "Helados Exoticos." Put Antigua as one of your must visit places when you travel to Guatemala! The cobblestone streets of Antigua. Plazas like these dominate the architecture in Antigua. Want to volunteer? Feel compelled to give financial support? Want to start a correspondence with a young person in Guatemala? Click on the link above to get involved, and feel free to ask me any question here on the blog. The secret is out! Sedona boasts one of the top getaways, not just in Arizona, but in the nation. Visitors to this red rocked paradise will not be disappointed with the large array of outdoor adventure, fine dining, and resorts that this small but lively city has to offer. Just this last week I had the privilege of staying an evening with some very talented photographers and filmmakers at one of Sedona's top resorts, L'auberge. L'auberge is one of Sedona's finest resorts. Nestled just above Oak Creek and hidden by the surrounding oak, L'auberge boasts some of the finest dining to be had in all of Sedona. Guests will be delighted by a fantastic staff, beatiful hidden cottages, spa, outdoor activites, and the overall aura of tranquility. While at L'auberge guests can sneak away to enjoy the red rocked landscapes and trail systems by horse, bike, ATV, or hike. There's no shortage of things to do! At L'auberge I was able to witness the extraordinary talent and concentration of five Tibetan Monks who are on a two year tour of America. The monks were working on what is called a ''mandala," an incredibly detailed and elaborate sand painting that is created over a week. With intense concentration the monks worked six to eight hours a day creating their masterpiece. At the end of the week, the mandala was finished - and with such lively and exuberant color! Tibetan Monks hard at work on their mandala as they reach their completion. At the closing ceremony the monks took the time to celebrate those that had hosted them, and spoke more about the meaning and purpose of the mandala that they had created. To keep in line with the discipline of non-permanence, the mandala was swept away. Some of the remaining sand was given to all that were present, and some was sprinkled into Oak Creek to promote blessing and healing for the land. The remaining sand is sprinkled into the creek to promote blessing and healing. In my early twenties I set out to complete a goal that I had heard others do - to see a baseball game in all 30 Major League Baseball stadiums. Summer by summer, I dedicated my paychecks to flights and tickets for games around the country, and slowly chipped away at the goal. I slept on couches, took buses, and stayed until the final out was made in each game. When it came down to the end I was taking long road trips across several states just to see one game at a time. I finished my goal in 2014 when, with tears in my eyes, I set foot in Tropicana Field, home of the Tampa Bay Rays. After all the miles and hot dogs and triple plays (I saw two) I had finished my goal. I was done. And then, years later, the Atlanta Braves, my favorite team, built a new stadium that opened in April 2017. It was time to continue the baseball tour and visit stadium 31. The new ballpark is called SunTrust Park. If you've stumbled upon this, I'm glad you're here. But first, a quick disclaimer: I have no formal photography training. I shoot only iPhone. Everything I am about to share here is either self-taught or tips I've picked up from other iPhone photographers I admire. If you're like me, you don't have the funds to buy an expensive camera and editing software. However, my experience has taught me that you don't have to have a professional camera and spend lots of money to take quality photos (no offense to the professionals). Let's be honest. The iPhone camera is not a professional camera. But it's not bad either. It shoots at 12 megapixels, light years below what you would get with a professional camera but enough to take a decent shot. Although the iPhone 7 is the best camera yet for the iPhone (I'm writing this May 2017), it still struggles to capture certain types of depth, detail, and lighting. Lightweight. Easy to carry. Point and click. Easy to navigate photo album. Easy to upload photos. Let's start from the beginning. Select a subject matter: I love to travel and go hiking, so a lot of what I'm taking pictures of is landscapes. But do what works for you! If you love portraits, then you'll take lots of photos of people. My next objective is to capture as many photos as I can (I mean ALOT) and then go back to see what my favorites are. Remember: More is better. I give myself lots of options by taking lots of pictures. As I get better at selecting what photos I'm going for, the less pictures I will take. When it comes to detail, depth, and lighting iPhone can be a challenge. But there are ways to make up for this. Lighting is your best friend and worst enemy. I rely heavily on lighting - time of day and direction I'm shooting my shot - to get a favorable shot. I generally shoot away from the sun. The only exception with this is when I want I silhouette an object. I also take lots of time on composition - setting up my shot by what and who is in the photo. By having a subject matter (person or thing) at certain places in the shot I can fill the photo frame and make the photo interesting for the viewer. Sometimes adding a foreground can add a dimension of depth. Capturing certain colors or textures can also add variety in my shot. Change your perspective. Hold the phones different ways to capture different depths. Play with the settings to adjust the light. The more you familiarize yourself with the settings the more you will find what works for you. And finally, a good edit can make worlds of difference. Editing will be what makes a good photo a great photo. I always recommend using no filter when shooting just because you can always change how the photo looks later. It is much harder to do that in reverse. Get yourself a good editing app. I currently edit within Instagram which gives me all I need to feel comfortable with my shots. It's easy, free, quick (I don't want to spend lots of time editing when I want to upload and share a photo) and I believe the quality is not far off other apps you"ll have to pay for. If you're looking for something besides Instagram for a quick edit try Snapseed or VSCO. I have used both of these in the past with success but I know far less about them. Photo editing presets are becoming more popular too. These are available for purchase through different photographers on Instagram. I know this is a quick run-down. But I wanted to share how simple it can be to take quality shots with an iPhone. And, of course, knowing a good editing software will help take your photos from good to great. Now I'd love to hear from you. What has/hasn't worked for you? And as always, if you've found this article helpful please share with others. The fields are adorned with tulips of all variety and color at the Wooden Shoe Tulip Festival. Tulips. Tulips. And more tulips. Row and rows of them. All shapes and sizes. All colors and varieties. It's all here. Bring friends, bring family and come wander through the fields. Buy some popcorn and take the kids on the giant slide. Come early and catch the sun rise over the snow caps of Mt. Hood. Watch the hot air balloons take off. Buy some tulips for your loved ones. Buy some seeds to plant in your yard. Peruse the local artisan booths. Enjoy wine tasting. And takes lots of pictures! That's what you'll get at the Wooden Shoe Tulip Festival. What started as a humble 15 acres in the 1980's has now transformed into a 40 acre field of tulips. Tulips are planted each October by three machines purchased from Holland. Meticulous measures are made to make sure the tulips are free of disease, weeds, insects and erosion. Every year a new variety of tulips are planted and arranged differently for people from all over the world to enjoy. Woodburn, Oregon. An hour south of Portland on the I-5. Generally, the Festival runs from late March to late April/early May. Admission to get into the Festival is $5/person or $20/car (if there are more than 4 people). "I envied a raven as he flew into the late afternoon light over reflection canyon. I called out to him in a loud voice that echoed through the canyon, "hey buddy!" It felt good to say that. "How does it feel to be free?" But he never responded. And it was better that way." Gorgeous colors and winding channels of water cut into the high cliffs of Lake Powell. Be prepared to drive a fifty-one mile dirt road followed by a rigorous, one-way 6-10 mile hike that will demand your best route-finding skills and use of a good map or GPS. Water levels and temperatures are lowest in the Spring, which is an ideal time to make this adventure. Map and compass is a great way to navigate. I picked up this map of the Escalante National Monument for $13 at REI. Well worth it! From Escalante go five miles east to Hole in the Rock Road. Travel exactly fifty-one miles south on a washboard dirt road. A four-wheel drive, high clearance vehicle is needed. After you've parked start hiking south, hugging the large cliffs to the west. This will help you avoid a multitude of ravines and slots canyons that wind throughout the landscape. After a few miles you will begin heading southeast over rocky hills and ankle high prickly pear cactus to reach Reflection Canyon. There is no right way although some ways are more direct. A more direct route may mean traversing up and down large hills. Do your best to avoid too much up and down travel using the landscape to your advantage. BE PREPARED! Remember that this is a rigorous hike into the wilderness. There are rarely any trail markers (cairns) and footprints are not always a reliable source of direction. Do your research before. Bring a map and compass. Bring a GPS, or if you dont feel like spending the several hundred dollars for a decent one, map out your course on Google Maps on your phone. When Navajo Mountain is in sight (to the south) you should get cell phone coverage (I received LTE for Verizon). and be able see your progress via Google Maps. It may seem obvious but by using your natural landmarks you will be able to navigate your course. See images below. I was able to use Google Maps to create a saved location. The heart is Reflection Canyon and the blue dot with arrow at the top left corner is where I parked my car. When I had service I could check my progress to make sure I was headed the right way. Make sure to use Google Earth for a more detailed map of the area. Parked car at the "trailhead." Follow these cliffs to the south as you make your way to Reflection Canyon. Reflection Canyon can be done in one day. One long day. But for however many days you do plan to come make sure to bring one gallon of water per day. I would also recommend something like Gatorade to help replenish electrolytes. Plan meals accordingly. I am a big fan of Backpacker Pantry prepackaged meals that just need hot water. Snacks are a must as well - trail mix, protein bars, etc. Whatever you pack, make sure to use Leave No Trace principles. There are no bathrooms along the route. Camping is possible along Reflection Canyon although there are few spots to pitch a tent. Take great care along the cliff ledges as you will be only a few feet away from several hundred feet drop-offs. And as always, make sure to practice Leave No Trace principles. Happy Camping! After a challenging hike, reward yourself by making camp and wandering the tall cliff edges to gain the different and spectacular views of Reflection Canyon. Following the canyon edge north will take you several other stunning views. As far as photography, I found the best success during the afternoon light before the shadows set in. The best shots were at dusk when the canyon turned to from gold to blue and back to gold. Make sure to also take advantage of the early morning light just before the sun rises over the distant cliffs. If you are lucky enough to catch a full moon you will be delightfully surprised by the glow of the canyon walls in the moonlight, especially on the white-stained places of the rock where the high water level once was. The massive and very impressive Jacob Hamblin Arch in Coyote Gulch. Within the Grand Escalante National Monument, America's biggest monument, is the winding river of Coyote Gulch. Along the river are several notable rock formations, with the most stunning of these being the Jacob Hamblin Arch, named after the western pioneer and peacemaker. 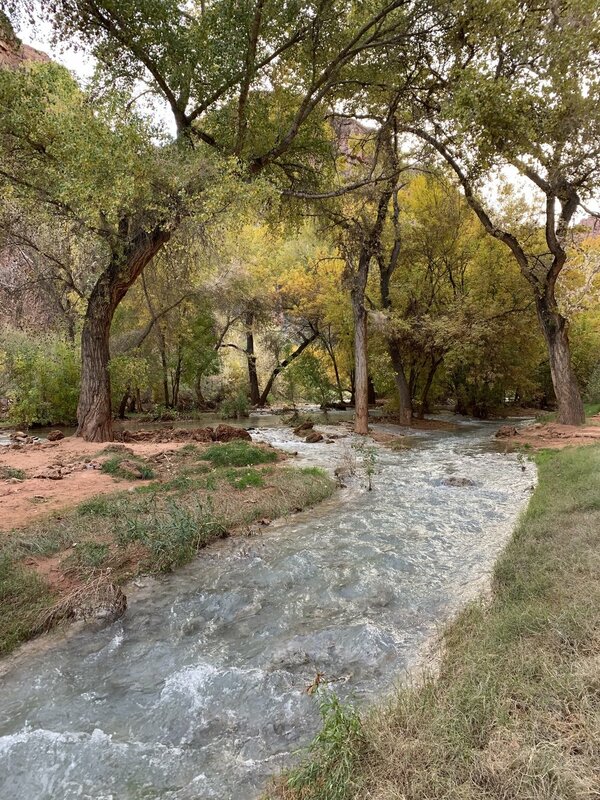 The arch boasts its impressive size and shape over the tight canyon walls of Coyote Gulch, and in the spring the river is lined with bright green foliage. Access to the Jacob Hamblin Arch begins in Escalante, Utah just off the scenic byway 12, which will also take you to Bryce Canyon. Five miles east of Escalante on byway 12 is Hole in the Rock Road, a sixty two mile unpaved road that ends at Lake Powell. Although I did see small two wheel drive cars on the road, four wheel drive and high clearance is highly recommended. To access the Jacob Hamblin Arch trailhead take Hole in the Rock Road thirty six miles until you reach Fortymile Ridge Road. From there head east (left) another four miles until you reach a turnoff to the left. You will reach a water tank at the top of a small hill where you can park and sign in at the trailhead. From the trailhead, plan on hiking two miles on a fairly well marked path with cairns in sand and slick rock. The trail will lead you down a steep but navigable entrance into Coyote Gulch. This approach can be tricky with a large pack so make sure to take your time or use the small rope attached to the rock at the top of the descent to help lead you down. As for as good eats around Escalante I would highly recommend Escalante Outfitters for a half meat lovers, half vegetarian pizza with a Polygamy Porter as a beverage. Escalante Outfitters also stocks great maps and information booklets about hikes in Southern Utah. One of the most surreal landscapes in Arizona remains largely unknown to many native explorers. Perhaps it's because of the six hour round trip over a difficult 4 wheel drive, high clearance road filled with deep sand and jutting rock that makes this surreal location very difficult to get to. While The Wave gets most of the notoriety for the area, White Pocket stands as a diamond on its own. Filled with brilliant swirls of colors and textures, White Pocket is easily navigated within a half day. Camping is also offered at the trailhead - a short quarter mile hike to White Pocket. To get here take the 89A to House Rock Valley Road. Road maps are provided by the BLM Ranger Station in Kanab, Utah. Stop in at Jacob Lake on your way out for a bite to eat. Kanab is the new gem of the Southwest. If you're looking for outdoor adventures, national parks, and wild landscapes then Kanab is your hub. Whether it's Zion, Bryce Canyon, or Lake Powell, this is the place from where you can make any adventure. Kanab sits right in the middle of several wilderness areas that are hard to get to, including the famous "WAVE." It's at the Kanab Ranger Station where many try their luck for "The Wave." What was rather unknown in the early 90's became a huge international attraction when the Olympic Games came to Salt Lake City in 2002. The Games used The Wave in a promotional video even though it lies just south of Utah in Arizona. This brought people all over the world to Kanab to put in for a chance to see this wild beauty in the desert. Here's how the process works: Each day twenty permits are given away. Ten are given in an online lottery entered four months in advance. The other ten are drawn in person each day at the Kanab Ranger Station. Here's what makes it hard: In the peak months it's not uncommon for at least 100 people to apply for these ten spots. Not only that, but the live lottery that's done each day is for use on the next day, which requires explorers to be flexible with their travels. As for myself, it took six attempts to finally score a permit. Persistence is key if you're want to win the golden ticket. The Wave during the winter months can often be experienced with reflecting pools of water from winter rains. But let's say you're like most people who don't win the lottery for The Wave. Don't worry. 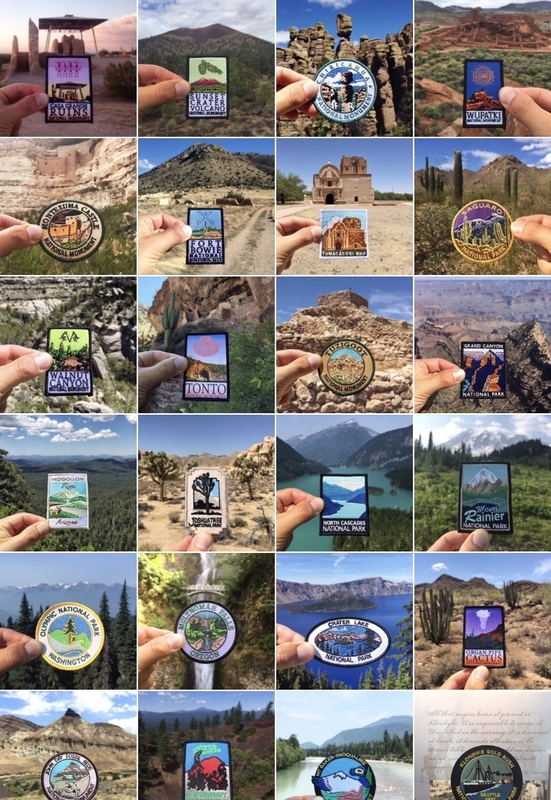 You're only in the midst of several National Parks and monuments. Places like Zion and Bryce Canyon, Cedar Breaks and Coral Pink Sand Dunes, Lake Powell and Horseshoe Bend, all stand within about an hour or two away. Zion from Angels Landing. One of the most scenic hikes in the Southwest. Horseshoe Bend at sunset. Only an hours drive from Kanab. Bryce Canyon from Inspiration Point. Looking to get out of Kanab for the day? Well, if you're up for a few hours drive you can make a day trip of Valley of Fire and Capitol Reef. If you're looking for an extraterrestrial landscape, then these two spots have you covered. I recommend starting your day early and giving yourself plenty of time to enjoy the landscapes. Valley of Fire at dusk. A must do day trip from Kanab. Capitol Reef National Park boasts lots of interesting rock formations and hiking trails. Want more? There's more! And that's where you'll have to see for yourself, the gems in and around Kanab - your hub to all things adventure. This is just meant to give you a little taste. Contact me if you have any questions on places to visit, places to eat, or places to stay in Kanab. I would recommend visiting Jeff and JoAnn at the Cowboy Bunkhouse in Kanab for a hot shower and breakfast at only $30 a night (http://www.thecowboybunkhouse.com/). For food, grab yourself a homemade apple pie at the Thunderbird Cafe at Mt. Caramel Junction just before, or after, going to Zion National Park (http://www.zionnational-park.com/bw3.htm). Taking a trip to Oregon? Like soaking in hot springs? In search of some solitude? I have just the place. Nestled in Central Oregon, just two hours south of Bend, is a hot spring sanctuary. The place is called Summer Lake Hot Springs. Here you can choose from several tiny homes and small cottages, filled with all you need to spend a weekend getaway. Looking to camp out or bring a camper? That's no problem either. The hot springs? Oh yes. Imagine this scene: you're outside on a cool evening, soaking in a 102 degree mineral water, enjoying the vast openness of the area. Want an indoor hot spring? They have that too. And it's big. Friendly staff, similar-natured travelers, and a reasonable price make this a fantastic trip to get away and soak up some good vibes. Check http://www.summerlakehotsprings.com/ for more. Here's an unique combination: NASA and the desert. Wanna know more? If you're in the mood for barren desert, sprawling sand dunes, rocky craters, and ancient lava remains then I know a place that you may enjoy. Just south of the Arizona border and just north of Rocky Point, Mexico lies the beautiful yet other-wordly Pinacante Wilderness. This terrain is so similar to the moon that NASA sent astronauts here to train in the 1960's. Whether it's a short hike out to the largest continuous sand dunes in North America, or a drive around the rocky mountains and giant craters, Pinacante Wilderness will not fail to wow you. In my early twenties I made it a goal to visit all 30 Major League Baseball Stadiums. Five years later, I found myself at my 30th stadium, having fulfilled my dream. Here is a quick look at all 3O ballparks. My favorite ballpark? AT&T Park, home of the San Francisco Giants. Up north, above the sonoran desert sprawl and just to the east of the highly elevated snowcapped mountains of Flagstaff, lies an interesting relationship of open prairies and dazzling rock formations that jut out from the earth. There, long stretches of road and clear blue skies make you forget whatever troubles you left behind. No wonder this area boasts some of Arizona's best kept secrets - several national parks and monuments. It will take some work to get out to these places but I can tell you that it is well worth it. A petrified forest, painted hillsides, and ancient cliff dwellings sit like hidden gems waiting to be explored. There is much more to see. We have only scratched the surface of the beauty that lies therein. Looking to make a trip out of it? May I suggest staying a night in Holbrook or Winslow along Route 66. Have a bite to eat in the old diners and then set off on a day trip to any of the national monuments along the way. Just a heads up: cell phone service is rather unpredictable in Navajo country where most of the landmarks are so make sure to plan ahead.